I have one fitted in my analog USA Trains all metal Hudson with Phoenix sound and must say that I am somewhat disappointed in the results. The smoke hardly pulses out at all at even very slow speeds, but comes out in a more or less continuous flow. The unit makes plenty of smoke, but the pulsing is not obvious, which is not good for an expensive unit. I think the ESU units have better smoke. The problem trying to do this with DC, is when you are stopped, there is no voltage present for the element, or the fan. So you will always have to make compromises somewhere.. The Analogue version is realy a Digital version with a different heating element and slightly different settings. 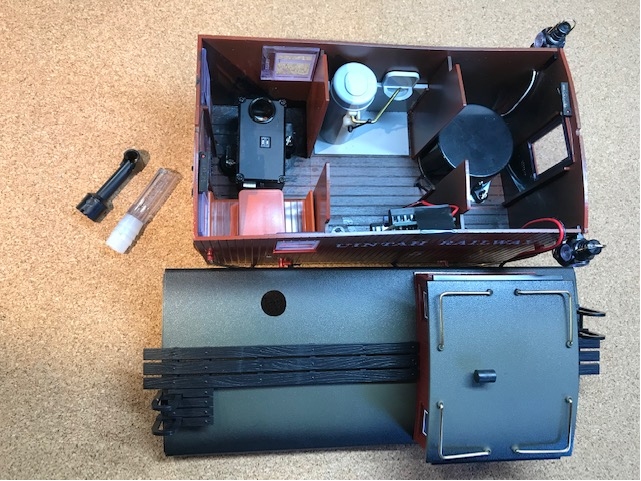 Folks - I don't have any experience installing the Massoth DC version Pulsed Smoke Unit into a DC/Analog locomotive. But like most DCC Sound Decoders, they are primarily designed to work on DCC, and less effectively powered by DC. And these Massoth Smoke Units are decoders with their array of CVs for adjustment. The two DCC models of the Massoth Pulsed Smoke Unit are excellent. They put out so much smoke it can possibly asphyxiate you! I previously posted a couple months ago in the Steam DCC Forum Topic some confusion I had wiring my first install into the Massoth XLS Sound Decoder I was installing for someone who bought the LGB Uintah Mallet Steamer from me, but with some help from my Massoth supplier in Germany, got it all worked out. These units do not have their own built-in pulse enablement, you need a DCC decoder to drive the pulses. Again, I've not tried installing the DC version into a DC/Analog locomotive so I can't give any comments on it. The rounded boiler DCC unit I installed into the LGB Uintah locomotive works like a champ. I've posted a demo the Uintah pulsing away on my Website's Homepage if anyone wants to see it work. I also installed the other DCC unit into an LGB Uintah caboose for the same customer. That one is set to "Diesel" mode since no pulsing is needed for a caboose's interior stove. Again, that one can also smoke you out of a small room such as my workshop! The only issue I found with it, which I'm sure applies to all three of the Massoth smokers, is that the exhaust tube must be large enough to ensure full flow of the smoke, otherwise it can back up in the heat elements and cause the smoker to stop for overheating. I found that out from the original smaller-designed plastic tube I had connected to the caboose smoke stack. Once I replace the tube and smoke stack with a larger diameter parts, it flows smoke like a champ! I will post a photo here of the connector I devised to the caboose smoke stack using half a piece of plastic plumbing water line connector. The DC versions will normally suffer from poor smoke at low track voltages, this is why many systems use a 5 volt heating element and a regulator, so the heater can run at full output at about 7 volts on the track and above. 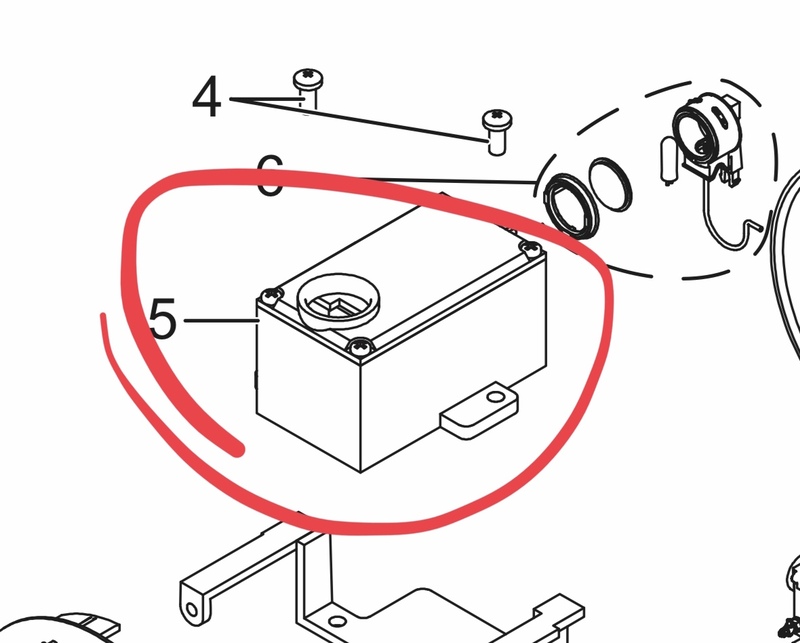 So, I would look more for a unit with a 5 volt heating element. If the priority was lots of smoke at any cost, I would get a Harbor Models unit (in the US) and then a boost type DC to DC inverter/regulator to provide a constant 12v. Otherwise, you will have to experiment which model gives you the most smoke, but the key will be a DC to DC inverter/regulator to provide full voltage at all times. Now of course you can trigger the chuff with whatever you decide, reed and magnet, hall effect, etc. but you will be stuck with full speed smoke at slow speeds... but maybe that is ok. If you are completely DC with no remote controls, then maybe a switch to turn off the voltage or lower it... you can buy these buck/boost regulators very cheaply as outlined in several other threads. Thanks Greg. There are similar products available in the UK - guess who has an battery/rc "Clyde Puffer" kit waiting to go onto the slipway. I'll keep the inverter/regulator in mind. Are you trying to turn the generator on and off from the same esc that is driving the loco? 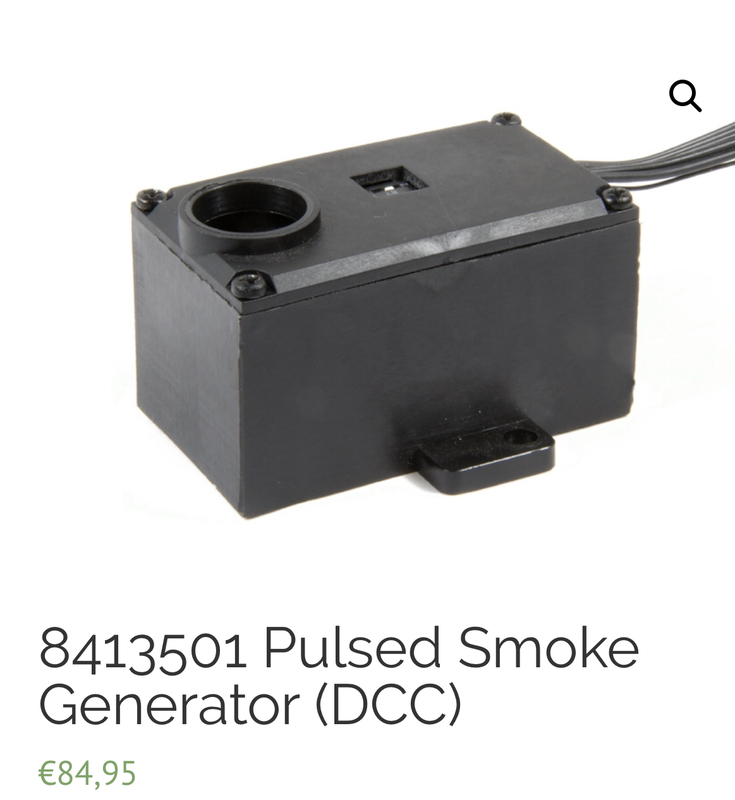 You also said DC in your post, but you really meant R/C, having the ability to control the smoke unit makes a big difference in (at least my) recommendations. 2. battery or track power? 6 what kind of remote control do you have?